(The New York Daily News) – Perpetual lunatic George Zimmerman retweeted an image over the weekend showing the corpse of Trayvon Martin, the black teenager he shot and killed without consequence three years ago. Zimmerman, a former neighborhood watch guard, recirculated the graphic crime scene photo to his 11,000 Twitter followers. The picture — which was used as evidence in the trial that ended with Zimmerman’s acquittal — shows Martin’s body lying on grass as investigators stand over it. 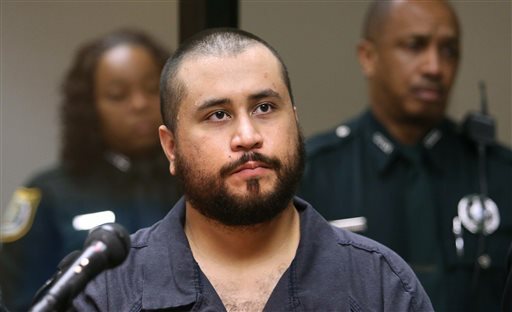 Zimmerman’s retweet roused the last round of online disgust at him. “George Zimmerman is online posting pics of Trayvon Martin’s dead body right now,” rapper Talib Kweli tweeted.